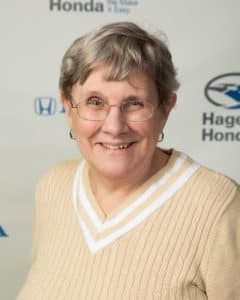 I have worked at Hagerstown Honda/KIA for very close to 28 years. I am presently the Office Administrator for both stores, handling payroll and accounts payable, as well as a number of other responsibilities. I have met some wonderful people in those years and have remembered from day. One that our customers always come first and that we are expected to be part of a team effort; never do we need to hear that ‘it’s not my job’; instead pitching in to get the job done whatever it may be.